this will be REAL transparent. 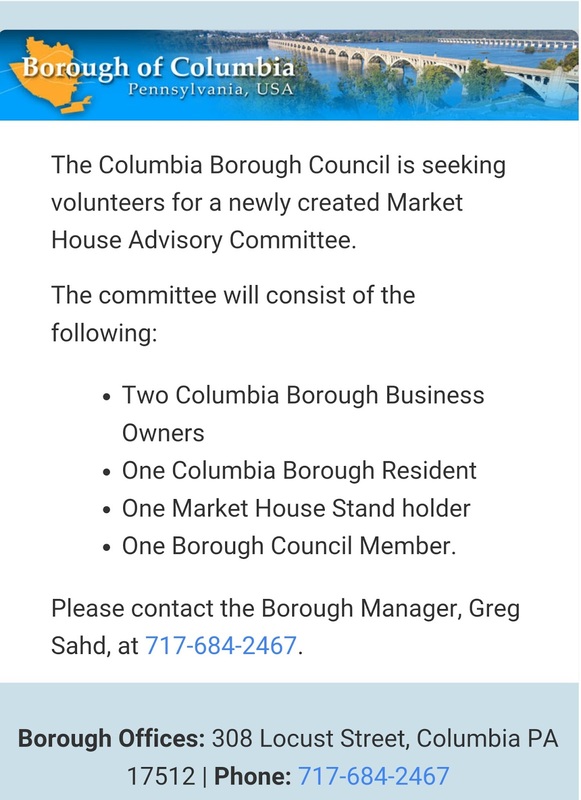 It's most likely decided who is on the advisory committee and market manager. Yes, I would have to agree. It's transparent in the fact that we can see right through them. All by design. Without local support we have a long journey ahead to revive the drama OUR Market House has endured. Ring The BELLS FOR SMALL BUSINESSES! Is the vote closed yet? As a home based business, can I be considered? 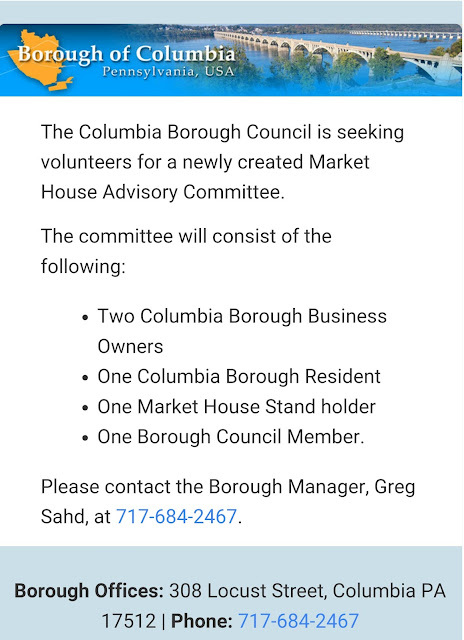 I'd love the opportunity to try and at least SALVAGE WHAT WE ALWAYS KNOWN AS THE COLUMBIA AND IS STILL OWNED BY THE TAXPAYERS!!! !